1 of 15 · View of couple's feet sitting on stone terrace overlooking Huayna Picchu. 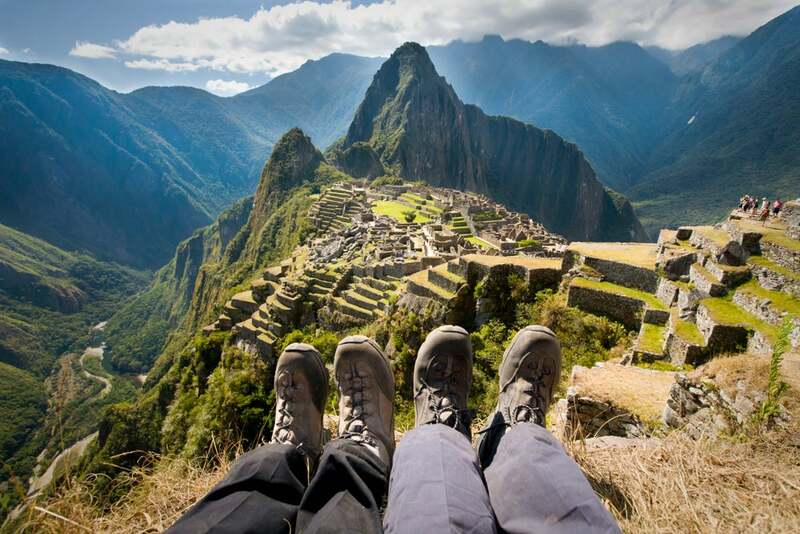 View of couple's feet sitting on stone terrace overlooking Huayna Picchu. 2 of 15 · View of couple's feet sitting on stone terrace overlooking Huayna Picchu. View of Machu Picchu from Wayna Picchu. 3 of 15 · View of couple's feet sitting on stone terrace overlooking Huayna Picchu. Ruined city of Chan Chan. 4 of 15 · View of couple's feet sitting on stone terrace overlooking Huayna Picchu. 5 of 15 · View of couple's feet sitting on stone terrace overlooking Huayna Picchu. 6 of 15 · View of couple's feet sitting on stone terrace overlooking Huayna Picchu. 7 of 15 · View of couple's feet sitting on stone terrace overlooking Huayna Picchu. 8 of 15 · View of couple's feet sitting on stone terrace overlooking Huayna Picchu. 9 of 15 · View of couple's feet sitting on stone terrace overlooking Huayna Picchu. 10 of 15 · View of couple's feet sitting on stone terrace overlooking Huayna Picchu. 11 of 15 · View of couple's feet sitting on stone terrace overlooking Huayna Picchu. Tschudi ruins at Chan Chan. 12 of 15 · View of couple's feet sitting on stone terrace overlooking Huayna Picchu. 13 of 15 · View of couple's feet sitting on stone terrace overlooking Huayna Picchu. 14 of 15 · View of couple's feet sitting on stone terrace overlooking Huayna Picchu. Inca ruins at Machu Picchu. 15 of 15 · View of couple's feet sitting on stone terrace overlooking Huayna Picchu. Archaeological site of Chan Chan.